The late Movement for Democratic Change leader Morgan Tsvangirai's widow, Elizabeth, is reported to have kicked out Tsvangirai's children from the Highlands mansion which belonged to the former Prime Minister. 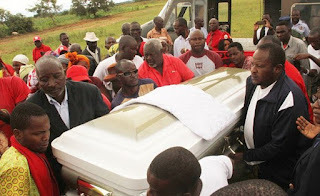 Elizabeth was humiliated by Tsvangirai' family throughout the funeral and burial ceremonies of her husband with Tsvangirai's mother, Lydia, openly saying she did not want to see her otherwise she would hang herself. One of Tsvangirai's brothers said Elizabeth could not be given special treatment as she was just one of Tsvangirai's wives since he was a polygamist. Tsvangirai had six children with his first wife Susan and there are reports that he had four other children with two other women. 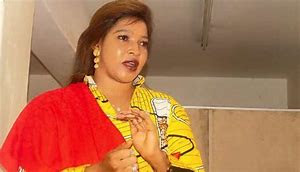 Elizabeth confirmed with Voice of America's Studio 7 that she had barred some of Tsvangirai's children from the mansion because there was bad blood between her and several members of the family. Tsvangirai's brother, Manase, said they are expected to discuss the matter as a family to resolve it amicably. Elizabeth's lawyer Harrison Nkomo said there was need for the Tsvangirai family to respect her as she was still married to Tsvangirai before he died.-Online. ​AT least one person was killed, while two others were seriously injured yesterday evening in Harare when Zimbabwe Republic Police (ZRP) officers clashed with commuters in the central business district (CBD). Two vehicles were burnt to shells, while Harare Central Police Station was stoned and heavily damaged by a rowdy mob. Windows at the entrance to the Charge Office were shattered by missiles as people protested the death of a man in the capital. The mayhem followed a directive by Harare City Council banning commuter omnibus operators and on-street vendors from operating in the CBD. There were running battles Thursday night as the crowd threw missiles at police officers who fired teargas canisters. This resulted in the death of one person. Eyewitnesses said trouble started when police approached a Chitungwiza-bound kombi that was dropping passengers at Seke Road flyover. The driver is said to have resisted instructions by the police not to drop passengers at the undesignated point. This resulted in an altercation that exploded into a running battle. Police fired teargas canisters to wade off the marauding crowd. "The police fired warning shots to try to disperse the swelling crowd who were already jeering at them," said Mr Marvellous Vhiriri. The crowd latter regrouped and pitched up at ZRP Charge Office in central Harare where they threw missiles leaving a trail of destruction. 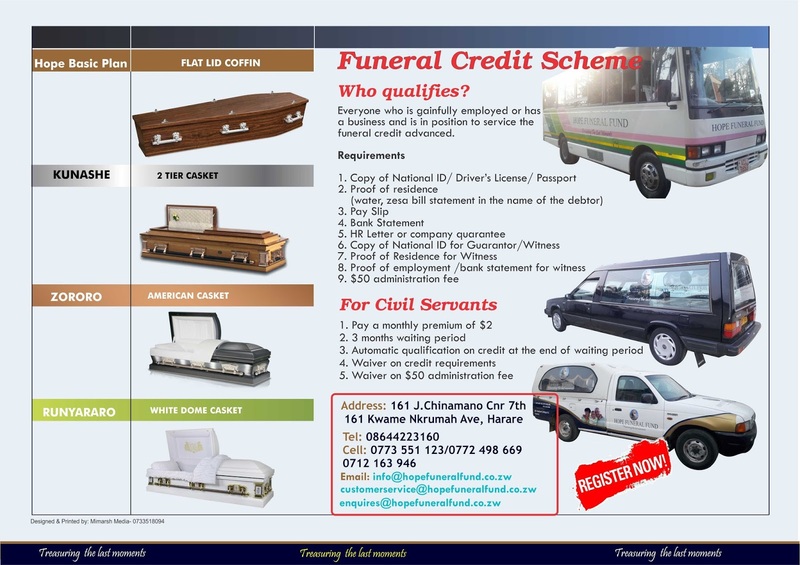 The joint 'militarised' operation to rid the Harare Central Business District (CBD) of commuter omnibus operators and illegal pirate taxis has elicited condemnation from a cross-section of residents, who use public transport to commute to and from work. Harare City Council, with the help of members of the Zimbabwe National Army and police, this week unleashed terror on operators who were resisting calls by authorities to move to designated termini on the peripheries of the city. The omnibus operators and pirates are accused of causing lawlessness in the CBD by picking and dropping passengers at undesignated points. At times, their cat-and-mouse games with authorities have resulted in tragic accidents as they flee arrest. On Thursday, armed police and soldiers patrolled the CBD while unleashing terror on commuter omnibus drivers who were defying the council directive to vacate the CBD. 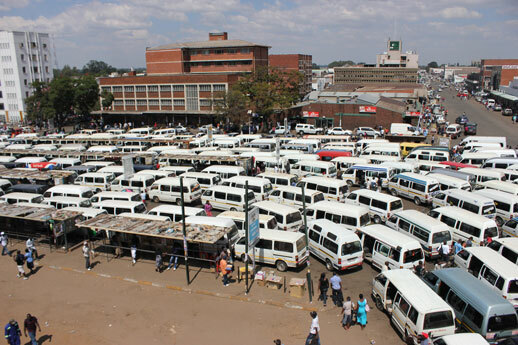 The Combined Harare Residents Association (CHRA) has come out strongly condemning the 'militarised' move by council to remove commuter operators from the city centre by force. 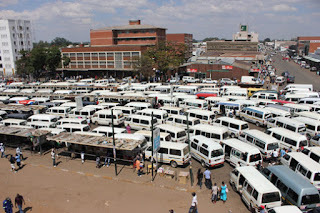 "CHRA would like to publicly state that the recent move by the Harare City Council to ban commuter omnibuses from the Central Business District (CBD) is ill-conceived and clearly reveals the lack of consultation of critical stakeholders before decisions that affect the general public. 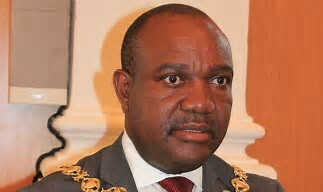 "The ill-advised move by the council has come with extra costs for commuters who now have to fork out extra money to get into town after being dropped off from far-away places such as Rotten Row rank, Coventry Road as well as Coca-Cola along Seke Road," the lobby group said in a statement on Thursday. Besides the extra costs, CHRA said, the move by the council would also result in increased delays of the commuting public as some will be forced to walk long distances into town, especially given the current economic situation in the country which has seen the majority living far beyond the Poverty Datum Line (PDL). The shuttle bus services facilitated by council are charging $0, 30 cents to ferry commuters to the inner parts of the city. CHRA lamented the decision by council was unilateral. "Unilateral measures can only result in increased chaos while the general public will be greatly inconvenienced. Decongestion of the city will, indeed, be welcome but a decision to that effect can only be made after wide consultations with concerned stakeholders have been made. "CHRA is of the view that an all-stakeholders approach that involves council, commuter omnibus associations as well as representatives of Harare residents (and other stakeholders) is ideal as a way of finding a way of regulating traffic flow in the CBD." Zimbabwe Cricket's head of cricket affairs, Givemore Makoni, has said the International Cricket Council (ICC) Word Cup Qualifiers 2018 matches, which are being hosted locally, were meant to fundraise for Team Zimbabwe and also to advertise next year's World Cup tournament. The matches will be hosted in Harare, Bulawayo and Kwekwe. A golf event is also pencilled to up the tempo and publicise the cricket World Cup. Makoni said the golf tournament is a platform to raise awareness, engage the corporate world and the public on the World Cup blitz. "Some of the cricket players will also participate in the tourney, as it has been made as a platform for the public to mingle with the cricket staff on the course and also to raise funds for the ICC qualifiers and other events. "The tourney is meant to raise awareness to the general public and corporate world so that they will be aware of what is taking place in the world of cricket," Makoni said. Makoni reiterated preparations for the 2018 ICC Cricket World Cup Qualifiers scheduled for 4-25 March were at an advanced stage and all is set for the big event. "Most of the facilities are almost ready as well as the practising and playing pitches. We are almost done as we are now only left with finalising the finer aspects of the preparations," he said. Zimbabwe are in Group B, together with Afghanistan, Hong Kong, Nepal and Scotland. Group A has the West Indies, Ireland, the Netherlands, Papua New Guinea and United Arab Emirates. The Windies were the first team to arrive for the ICC Cricket World Cup Qualifier 2018 in Zimbabwe last Sunday. They were followed by Zimbabwe and Afghanistan on Tuesday following the completion of their final leg of preparations in Dubai, where they played two T20s and five ODIs. The 10 nations will descend on Zimbabwe to take part in the competition for the two slots available for next year's World Cup to be hosted by England and Wales. Hamilton Masakadza, who has scored more than 5 000 runs in ODI cricket, is one of the pillars of the Chevrons team. 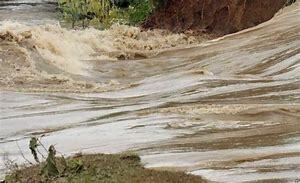 Several people, including 85 school pupils, have been left stranded in Mashonaland Central province following floods that hit some areas recently after successive days of rains. The 85 pupils from Zingore Primary School in Mt Darwin, have been marooned at the school since Monday after Donga River burst its banks and flooded the area. In Muzarabani, 31 huts and 34 Blair toilets were destroyed by the incessant rains that have been pounding the flood-prone area for the past two weeks. In the Glendale area of Mazowe District, several houses were last week flooded with water mixed with sewage due to a poor drainage system. Also in Domboshava, Mashonaland East province, several houses were destroyed following heavy down pours that characterised the better part of last week. Principal administrative officer in the Ministry of Local Government, Public Works and National Housing in Mashonaland Central, Ivan Kanerusine, confirmed the development in an interview. He said the affected pupils at Zingore Primary School could not cross Donga River on their way home after school and had to return to the school where they were accommodated on Monday. "We have been in touch with the Mt Darwin Civil Protection Committee who advised that 56 pupils out of the 85 are still being housed at the school as of today (yesterday)," he said. "Some of them are now being housed in surrounding communities. The committee is mobilising the necessary food and other necessities to cater for the welfare of the affected pupils." Kanerusine said in Ward 5, Kapembere area of Muzarabani, 31 huts and 34 Blair toilets were destroyed by the rains, which also destroyed some crops. "No loss of lives was reported in the area, but the incessant rains have left a trail of destruction," he said. "Crops were destroyed and we are now appealing for food aid to assist the affected families. Some of the families' reserved foodstuffs were also affected when the rains damaged the huts. "We have been in touch with the families and some of them requested to be assisted with seed maize and sorghum seed, but if we look at the time left before the end of the rainy season, the crops might not reach maturity." In Rushinga District, seven gold panners were marooned at the confluence of Mazowe and Nyadire rivers from February 4 to 5. "The seven were marooned on February 4 and spent the whole night there," said Kanerusine. "They were rescued the following day towards sunset after they realised that the flooded rivers were not subsiding. "They managed to contact the area's local councillor who conveyed the message to the district civil protection committee. Local resources were mobilised and five of them were rescued using ropes. A father and his son spent a night marooned and were only rescued the following morning." 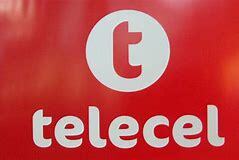 Leading mobile operator, Telecel Zimbabwe, has announced that it will be launching a point-based competition, Bundle Mania promotion, for registered subscribers who purchase WhatsApp, Facebook, MegaBoost and Wi-Fi bundles. The Bundle Mania promotion which will start today, 22 February 2018, will allow Telecel Go Prepaid, Red Hybrid & Business Hybrid subscribers to earn points when they purchase bundles through the USSD short code *480#. Subscribers, who purchase any of the participating bundles, automatically accrue points but have to opt in, in order for their points to be used in the random selection based competition. Prizes for the competition include cattle, laptops, airtime and cash which can be won during the competition which ends on 30 April this year. Telecel's Communications and Branding director, Obert Mandimika, said the promotion was Telecel's way of giving back to its loyal subscribers while increasing awareness and usage of the bundles. Thousands of mourners braved the heavy downpour that hit Buhera Tuesday morning to pay their last respects to MDC leader and former Prime Minister, Morgan Richard Tsvangirai, who succumbed to colon cancer in South Africa last Wednesday. 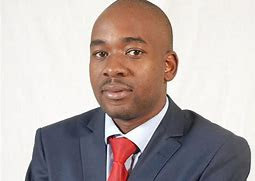 One of the main attractions at the event was Kenyan opposition leader, Raila Odinga, a close Tsvangirai ally, who sat side-by-side with MDC acting president Nelson Chamisa at the top table. Officials from the ruling Zanu PF, opposition political parties, churches, civil society, diplomatic corps, trade unionists and academia, among others were part of the funeral proceedings. There was a sea of red party regalia as multitudes thronged Humanikwa village for the burial of Tsvangirai, who was arguably the most revered opposition figure in Zimbabwe. His death failed to shake-off his allure as witnessed by the bumper crowd. The funeral service was held at Makanda Primary School before Tsvangirai's body was interred at his village. President Emmerson Mnangagwa paid tribute to the late opposition icon, with his administration providing two army helicopters that ferried Tsvangirai's body and close relatives to the final resting place.-TOP NEWS. Former President Robert Mugabe and his controversial wife, Grace (pictured), last week descended on a Banket farm which is part of their vast Gushungo Holdings business empire, where they intimidated poor farm labourers, who were protesting over unpaid wages and terminal benefits. 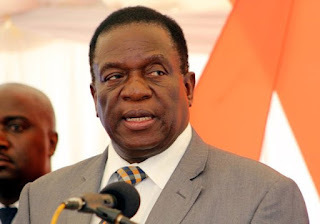 The rushed meeting between the ex-president and the farm workers was called by the two parties' lawyers Godfrey Sitima, representing the labourers, and Fungai Chimwamurombo, who represents the Mugabes, after the former first family got wind the workers were seeking an audience with President Emmerson Mnangagwa to help resolve the impasse. Our news crew surreptitiously attended the meeting disguised as farm workers after being denied entry. During the heated deliberations held at the farm, which is situated along the road to Mazvikadei Dam & Resorts in Mashonaland West province, Grace exhibited her high disregard for protocol and etiquette when she continued to heckle workers contributing to debate. "You, shut up," she interjected unrestrained. The former president, who was in high spirits, said he didn't owe anyone a cent before daring the workers to approach the courts. The aged ex-guerrilla leader, however, unwittingly sold out his wife who is believed to have diverted funds meant to pay the labourers. "If anyone claims I have his or her money, aah, just go to the courts because I know I have been giving amai (Grace) your salaries all along," he told the employees. Mugabe and his wife argue they didn't owe the labourers' terminal benefits saying their previous employer, the Agricultural Rural Development Authority (ARDA), should pay them their pensions and severance packages. The former first couple further argued that since they now owned the farm, they had the prerogative to retain some workers if they deemed it fit. A visibly angry Grace chided the workers not to be fooled by the fact that President Mnangagwa was now the country's leader, as the farm continued to be theirs and shall run it as they wished, including disregarding labour laws. 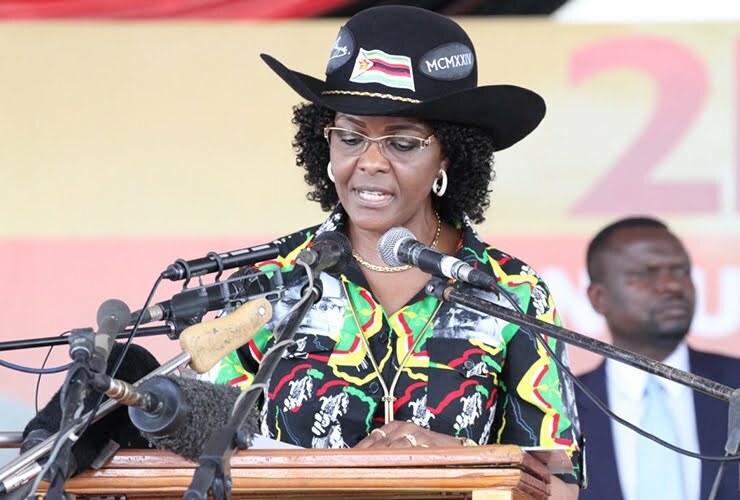 The Mugabes were in the company of Grace's brother, Winston Marufu, who at one time operated at the property after taking it over from his niece, Bona who had reportedly shown no interest in farming there. The meeting failed to reach a consensus and the issue is likely to spill into the courts anytime soon. The farm, which has changed hands several times, was formerly owned by the Nicole family, famed for being one of the most successful white commercial farmers, before being hounded out of the estate at the height of the chaotic land reform programme that started in 2000 and was taken over by ARDA. The Nicoles relocated to Zambia where they are reportedly undertaking a thriving farming venture. The protracted fight over wages and benefits has been going-on for almost a year following Grace's attempt to evict workers from the property. The employees have vowed to stay put until they are paid their dues. The former Zanu PF strongman, who turns 94 tomorrow, and his family reportedly own 14 farms across Zimbabwe, and new Agriculture minister Perrence Shiri has pledged to repossess the former president's farms for redistribution to deserving beneficiaries. 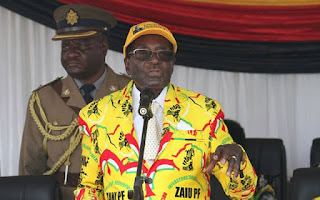 The Mugabes, through their security officer Mkhululi Nyoni, were last month ordered off Smithfield Farm in Mazowe, but are defiant arguing the matter was irregularly dealt with by the High Court. TOP NEWS. Scores of rioters were injured after police were called in to disperse rowdy Banket residents, who were threatening to beat-up a senior Zanu PF politician, Grain Marketing Board (GMB) and Youth ministry officials for alleged partisan and corrupt distribution of free farming inputs sourced under President Emmerson Mnangagwa's Well-Wishers' Inputs Programme. Angry residents, who had queued for long hours, were baying for Zanu PF Ward 22 Councillor, Loveness Kamunga, whom they accused of bias, favouritism and corruption in the handling of the fertilisers and maize seed targeted for A1 small-holder farmers. Kamunga and her accomplices had to be rescued by Zimbabwe Republic Police (ZRP) details, who swiftly moved to quell the chaotic situation forcing rioters to scamper for cover in the midst of a bellowing cloud of tear-smoke. An ambulance was rushed to the scene to ferry the injured to Banket District Hospital, where they were reportedly treated for various injuries, before being discharged. The incident occurred on Wednesday at Wigtown farm, 7 km from Kuwadzana township, where free farming inputs were being distributed through Zanu PF party functionaries, who differed in the manner in which they were being parcelled out. Kamunga was accused of side-lining some of the deserving beneficiaries, while giving preferential treatment to others suspected of having paid her kick-backs. The under-siege Zanu PF official was conniving with Grain Marketing Board (GMB) and Youth ministry officials to deliberately remove some names from the beneficiaries' list and replacing them with those of "paying clients" and kinsmen. 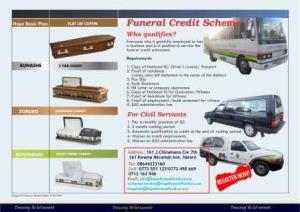 They allegedly changed the distribution venue on short notice inorder to disadvantage rightful beneficiaries. "The whole process was unfair and Kamunga is the one to blame for all this mayhem. Those connected to the councillor, GMB and Youth ministry officials are the only ones benefitting," charged one protestor, Kenneth Chiripanyanga. Residents were also riled by 'extortionist demands' by Kamunga and her team that would-be beneficiaries pay $1 each to hire a truck to ferry inputs to the area. Another rioter, George Chitengu, told NewsAnchor the figure was slushed by half after residents protested over the $600 truck hire fees for a distance of less than three kilometres, from the warehouse to the distribution site. Kamunga, however, dismissed the accusations, saying distribution logistics were transparent and fair. She shifted the blame on GMB for changing of the assembly venue which she said was necessitated by crowd trouble that erupted at the previous distribution point. The councillor and her GMB and Youth ministry cronies were behind the wanton looting of the fertilizer and maize seed consignment, sources alleged.-TOP NEWS.